As announced on Friday, we’re rolling out another enhancement to our product. 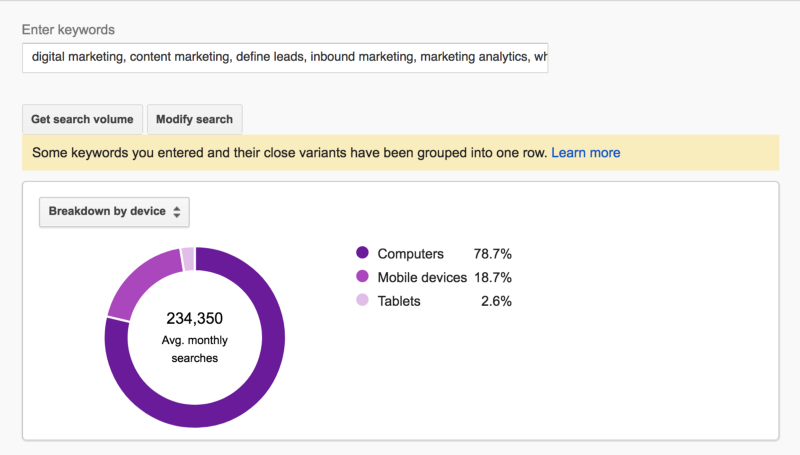 This one is major: we’re now breaking down the search volume by devices, based on Google’s Keyword Planner data. Right next to the search volume of any keyword group, we’ve added the percentage of searches that come from mobile devices. Not only is this a great piece of information for our users, especially since it’s not a metric you’d find in other SEO tools, but it is also enabling us to further enhance some of our core features. P.S. : If you missed the previous update, check it out here: Notifications, Slack integration and new email reports with engagement tracking.